Alexander Designer Belt Polished Nickel with Golden Accented Four Piece Belt Buckle Set. 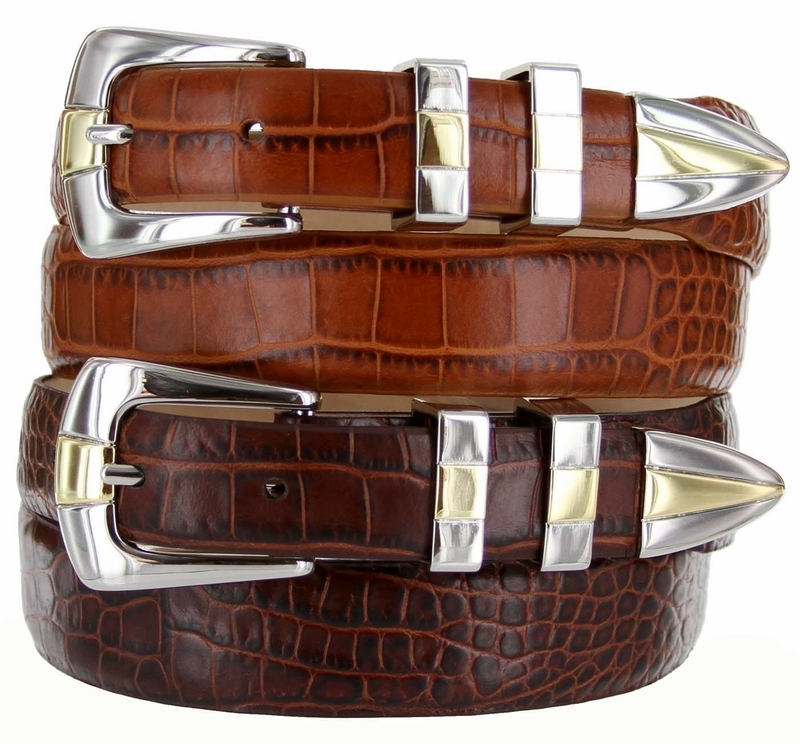 Fine Italian Crocodile embossed Calfskin lined with Genuine Leather. 1 1/8" wide taper to 1" wide.